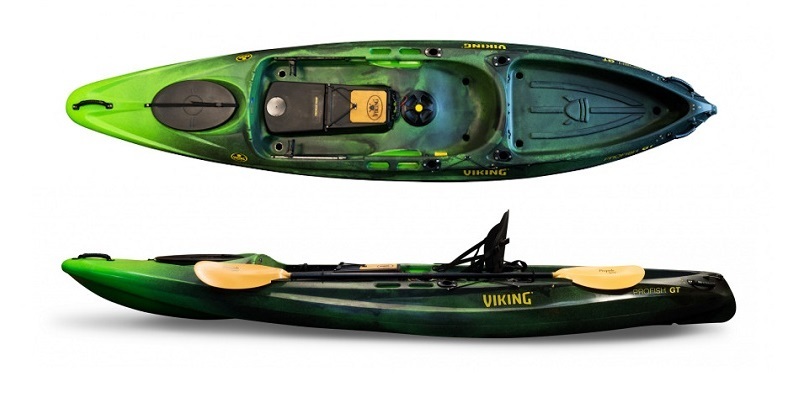 The Viking Profish GT measures just under 12 feet in length, this longer length makes this the perfect choice of kayak for both kayak anglers and recreational paddlers who are looking for a top quality touring sit on top that travels through the water with speed and ease. 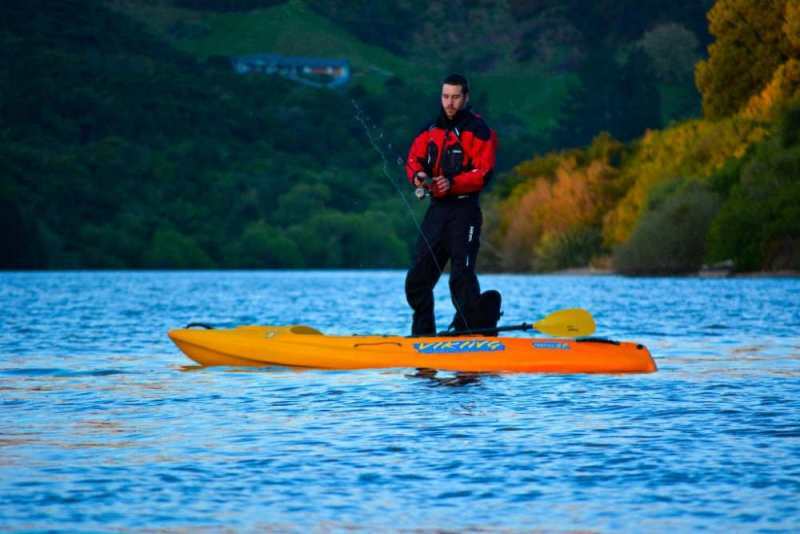 The Viking Profish GT has been designed and manufactured in New Zealand and is an excellent sit on top fishing kayak that is suited for all level of paddlers and angling experience. The Viking Profish GT hull has been designed to cope with all conditions, whether you’re hugging the coast line, rock hoping or paddling through choppy waters. The Viking Profish GT comes standard with the Viking Tackle Pod System. This system makes it easy for transferring your gear from your kayak to the car. The Tackle Pod is completely detachable; this makes it easy to fix your electronics such as fish finders and power supplies without have to drill any holes in your kayak. The Tackle Pod offers a fully integrated and removable sounder, battery, and transducer setup combined with a large tackle storage space. 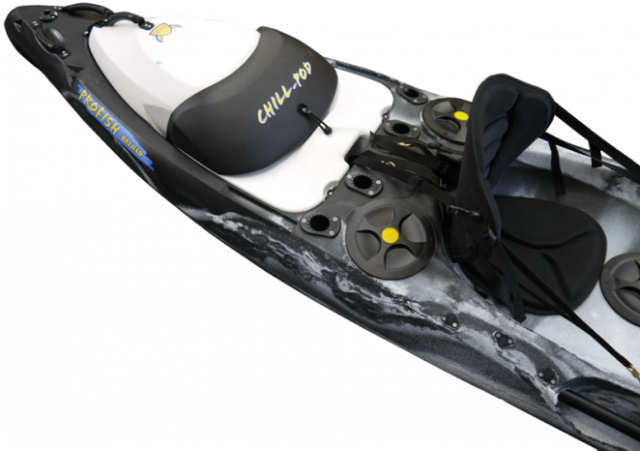 The Viking Profish GT does not include a seat or paddle, we do stock a wide range so feelfree to take a look at our Kayaking Paddles & Sit On Top Seats. The Viking Profish GT is rudder ready so you can add a rudder system (Sold Separately) at any point. There is also the Optional Kids Pod System and Chill Pod™ System (Both Sold Separately). The Chill Pod is insulated and fits in to the rear tank. With a bread bin style opening system its easy for all to use. The Chill Pod allows fish and Ice to stay cool for hours, and cuts down on things you need to pack up at the end of the day, as you can simply lift out and put straight into the car. 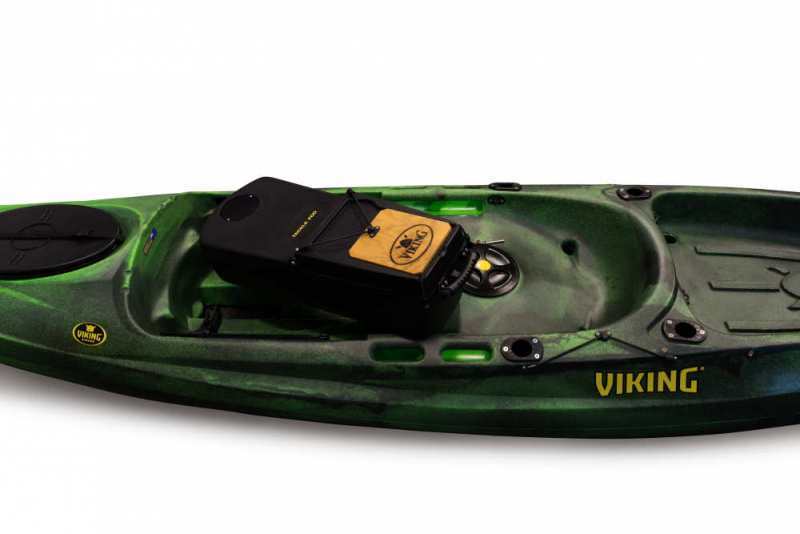 The Viking Kayaks kid pod allows you to share the fun of being on the water with the kids. With a recessed seating area for kids and storage pod near the main paddlers. It can also provides a flat, stable surface for fresh water anglers to stand and cast. We offer a delivery service for the Viking Profish GT throughout the UK & Ireland to home and work addresses. If you are local to our shop in Hamworthy, Poole then we may be able to deliver a Viking Profish GT with one of our own vehicles. For boats, this is free to most BH Postcodes - please call us on 01202 625256 to discuss your requirements. Buy a Viking Profish GT online from our website and collect from our shop in Hamworthy, Poole or you can collect from any branch within the Canoe Shops Group. There is no cost associated with instore collection.